TORONTO - It's time the Ontario government prohibited bar and restaurant owners from taking a portion of the tips left by customers for waiters, waitresses and bartenders, the New Democrats said Monday. It's common practice for servers to share tips with kitchen staff, but many customers don't realize bar and restaurant owners may also take a cut of the gratuities, said NDP finance critic Michael Prue. "What we’re opposed to is tip outs, where the owner or manager of a restaurant takes a percentage of the tips to supplement their own wages," Prue said in an interview. "We don’t think that people who are giving tips know that the waiter or waitress who just provided great service has to give some of that away." Liquor servers in Ontario have a minimum wage of just $8.90 an hour, compared with $10.25 for most workers, and they depend on their tips to make up that difference, added Prue. Some restaurant owners take all of the tips meant for staff, he said. "For a manager to come along and take that tip, even a percentage of it, is totally wrong, because the tip was not intended for management," said Prue. "It’s illegal in places like New York state, and it should be illegal here too." However, Labour Minister Linda Jeffrey said it's OK for management to take a share of tips as long as that practice is clear when the staff are hired. "I think that they need to have that relationship clear at the very beginning of the employment history," Jeffrey told reporters. "We want employers to treat their employees fairly, and if they are not treated fairly they should speak to the Ministry of Labour." Good wait staff and bartenders can always find work elsewhere if they don't want to share tips with their employers, added Jeffrey. "When you are a good server, it’s a very competitive environment. You can go where you can get the best deal," she said. The Ontario Restaurant and Bar Association said it does not think the practice of management taking a portion of tips is widespread. "I haven’t run across it in my career, and I’ve been in the business for 30 or 40 years," said John Couse, president of the association. "It’s not all that common, so I’m not sure it’s a pressing issue that needs legislation." 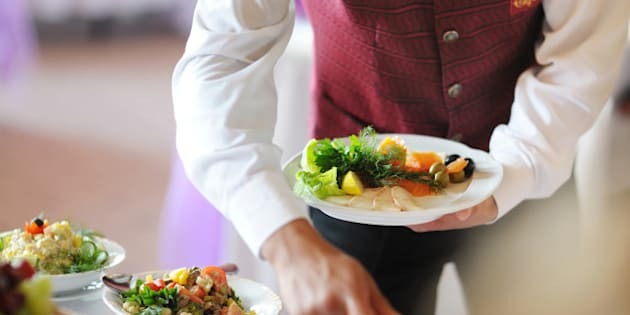 Prue said some restaurant owners demand a percentage of the total bill, so if the customer doesn't leave a tip the waiter or waitress is expected to pony up the difference. "If you have a $100 meal and you don’t leave a tip, the employee has to pay $5 for having served you," he said. The "Protecting Employees' Tips Act" is Prue's second attempt to ban the practice of tip outs. His earlier private member's bill died on the order paper when last year's election was called. "Now we have an opportunity, in this minority parliament, to see to it that restaurant and bar owners and managers be banned from taking their employees' tip money," said Prue. "We have a chance to finally give these workers the protection they so deserve." Jeffrey refused to say what she thinks of bar and restaurant managers taking a percentage of the tips left for their staff, or if she would be willing to change the law to ban tip outs.